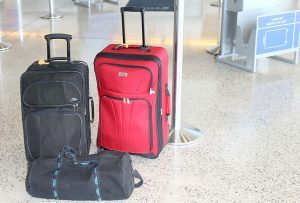 Lost luggage rules fall into three categories. There are lost luggage rules that should be followed before traveling. There are rules when traveling and checking in baggage. And, finally, rules when luggage is lost, delayed or damaged. 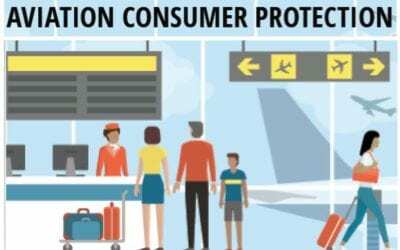 Passengers who follow these rules have far fewer lost and delayed baggage problems and get top compensation from the airlines. Is there a way to limit the chances of losing luggage? And when luggage doesn’t show up on the carousel, is there anything passengers can do? Here are the basic lost luggage rules. Plan ahead for problems. When you pack your carry-on bags for an extended trip, be sure to pack a change of clothing for one day as well as necessary toiletries (small, travel-size containers of liquid- and gel-based toiletries are now permitted on board the aircraft). For the most part, airlines manage to get lost luggage reunited with its owner within 24 hours, so this is your simplest insurance policy. Take photos of what you pack in your checked baggage. This way, any possible claims can be verified and passengers can get the maximum compensation possible. Make sure the airline will transfer bags at connecting cities. This is a growing problem. The major international airline alliances will no longer transfer baggage from one alliance to a different alliance. In other words, American Airlines doesn’t transfer bags to Delta, nor do any of their alliance partners transfer baggage. British Airways even has rules that forbid them from transferring baggage from one BA flight to another if the two flights are ticketed separately. Check with the airline or a travel agent. Pay attention to the destination. Check all luggage tags to make sure luggage is checked through to the right airport. Believe it or not, this is the biggest reason that bags go astray. More and more travelers are now checking luggage at curbside, compounding the opportunity for tagging errors. Check luggage in on time. Today’s airports have luggage check-in rules that, theoretically, allow time for sorting of luggage and delivery to the correct aircraft. Don’t push the system. The smallest delay can have serious consequences when your luggage is cruising down the conveyor belt and selected for security examination with little time to spare. Identify luggage inside and out. Few travelers put identification and destination information inside their luggage, but this small effort will be amply rewarded if your luggage tag gets torn off. Especially if you don’t know exactly what your luggage looks like — and many travelers do not (ask anyone who has stood in a lost-luggage line). So take a moment to note the luggage maker (TravelPro, Samsonite, Delsey, American Tourister, etc.). Also, take a good look at the color. Is it dark blue or is it black? Is that a stripe or a wavy line? Better yet, if you have a camera phone, take a picture of your bag before you hand it over. Compensation for lost/delayed/damaged baggage is $3,500 per passenger. Keep this amount in mind. The amount was increased back in 2014 through efforts led by Travelers United. The amount increases regularly based on the consumer price index inflation. Fill out all forms at the airport. If your luggage doesn’t show up on the carousel, spring into action. Many times, airline personnel will explain that the luggage has been located but will be delayed until the next flight. If you have the time, wait. If not, fill out the appropriate lost luggage forms at the airport, and the airline will get the baggage to your home or hotel. Ask what the airline can do for you. Baggage service offices are full of surprising information. 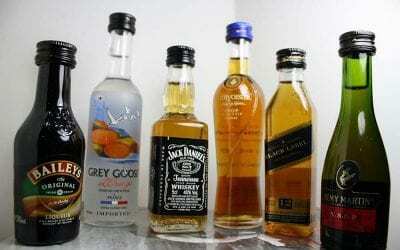 For example, if your luggage is going to be delayed for a while, some airlines in some locations will issue petty cash to purchase toiletries and sundries. Others will provide coupons for rental of special clothing and equipment, such as ski and snowboard outfits. I’ve heard stories of airlines picking up tuxedo rentals for special occasions. If your luggage is damaged, point out the damage and the airline will have your suitcase repaired. Some offices even have a supply of replacement suitcases in their back room, which can solve the problem on the spot. Remember, these allowances come from the total $3,500 compensation limit. Keep receipts. Make a claim. In the rare case of truly lost luggage, the airline’s liability is limited to $3,500 for domestic flights. International liability limits are less generous. Some credit cards and travel insurance policies cover lost and damaged luggage — read the fine print. Homeowner’s and renter’s insurance normally cover your property, too, even when you are in transit on public transportation. Some very diligent travelers suggest travelers make a packing list that can be referenced if there is a need for insurance reimbursement. Lost luggage is a growing problem. Passengers never know when they will find themselves watching an empty baggage carousel, so plan ahead, pack light and remember, it’s easy to buy a toothbrush and a new pair of socks at your destination. Plus, fair compensation is now available through the work of Travelers United and the Department of Transportation. 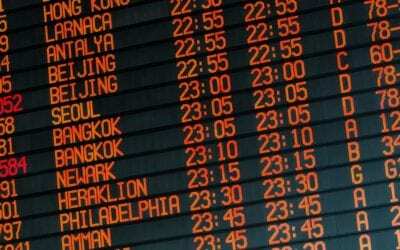 Before you change your return flight – read this first.